If you think holiness is just NOT doing things, that’s not it. Webster’s 1828 says holiness is purity or integrity of moral character; freedom from sin; purity of heart or dispositions, sanctified affections; piety; moral goodness, but not perfect. The rarest form of holiness is “not backing down” when it comes to moral character; being honest in business dealings. Holiness is not screwing people over. It’s being reliable – being a man of your word. 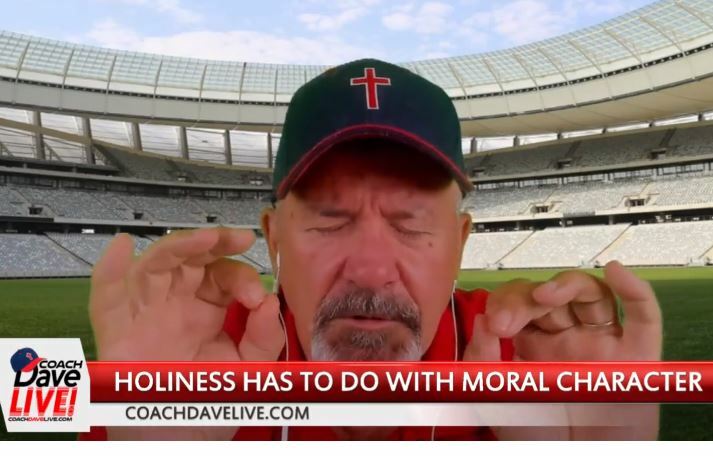 Pietism is fake holiness. Don’t say you’re going to do something and not follow through. I’d rather you be a man of your word, than just not doing things like smoking and drinking.